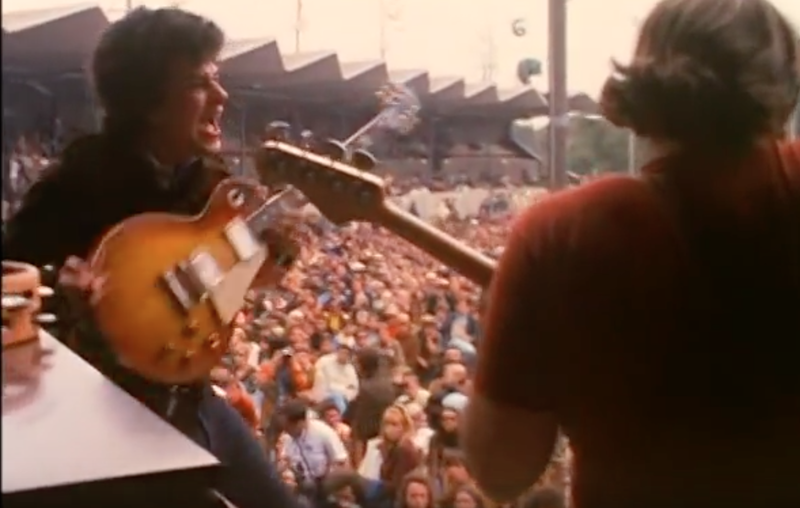 Check out the video clips below for some incredible footage of the The Electric Flag performing; “Wine” and “Over Lovin’ You”, at the band’s live debut at the 1967 Monterey Pop Festival. The short-lived but successful project of legendary guitarist Mike Bloomfield, included the likes of drummer Buddy Miles (who had done session work with Otis Redding, Wilson Pickett and would famously go on to be a part of Jimi Hendrix’s Band of Gypsys). Bassist Harvey Brooks and Keyboard player Barry Goldberg as well as a handful of other well seasoned session men. It’s also worth noting that this was one of earliest performances of Bloomfield with his Sunburst 1959 Gibson Les Paul, which he had acquired only a few moths earlier, in the spring of 1967.